Julia Child said, "You don't have to cook fancy or complicated masterpieces - just good food from fresh ingredients." Child's 100th birthday was August 15th. Fortuitously it landed on a Wednesday making for headline stories of remembrance by her friends and admirers in that day's standard newspaper food sections. Fifteen years ago, to mark Julia's 85th birthday food professionals - and just plain enthusiastic cooks were asked to prepare meals and invite friends and acquaintances to come for dinner and pay a fee that would be donated to the I.A.C.P. 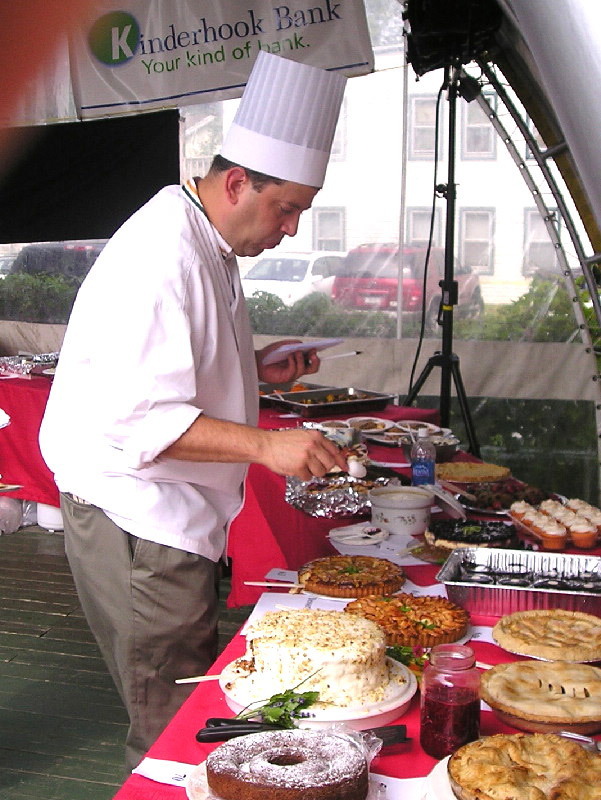 's (International Association of Culinary Professionals) Julia Child Scholarship Fund. I was on Nantucket then, as I was for her centenary. Back in 1997 I was living in a little rental cottage - built from a Sears Roebuck kit in 1927 - that didn't have electricity but was sophisticated in every other way. I used a small Craftman generator to pump up water that ran clear into a beautiful soapstone kitchen sink and through an outdoor shower under a wild apple tree. My friend Roy came to visit so that we could make a dinner to honor Julia's 85th birthday. This is part of what I wrote in my journal, 15 Aug 1997 - "up & to work - brought Roy to Laura's so he could do his part (he needed an electric mixer) - I ran to town for a few things - then to work. Down to the wire as usual. Got the food finished - shook out the house - arranged flowers - showered - then showtime. Wonderful evening - everyone in good spirits. Great pizzas from Roy - mascarpone, smoked salmon and scallions - chard, blue cheese & potatoes. Carrot fritters, zucchini and potato fritters. 4 bluefish - 2 roasted - 2 grilled - rice salad with tomatoes, corn, feta, basil and pinoli - grilled eggplant & zucchini - green & yellow beans with mustard oil, orange and chive dressing. Blueberry pie w/ cream & angel food cake with blueberry sauce. Good mini speeches by Roy (who had dined with Julia at her Cambridge, MA home) & Nancy Barr (a guest,who was Julia's assisstant for decades) - (we toasted) her cent'anni (100 years)." And here I was again. Julia's 100th birthday on Nantucket staying with my sister Laura. (Read all about my July trip to the island here.) To celebrate Child's birthday we honored her directive and ate good food with fresh ingredients: tomatoes with basil, eggs with olive oil, cucumbers with cilantro, and fresh mozzarella (from Hudson) that had been gathered from garden and coop less than an hour before we consumed them . I know that we respected Julia's dictum. As we did for successive evening meals all gathered in the same a la minute way - except maybe for the local summer flounder that may have been caught 12 hours earlier. The eggplant was cut into 1/2-inch slices roasted on an olive oil-smeared baking tray with sides until deep gold, flipped over, covered with sliced tomatoes, grated parmesan cheese , a spritz of olive oil and sprinkle of salt. When the cheese melted the dish was finished. I added a chiffonade of fresh basil to serve. Nantucket's farmers' market happens on Saturday mornings during the summertime. Every weekday there are farmers who pull their trucks into designated spaces on Main Street. Bartlett's Farm sells seasonal vegetables, and a few others, including Nantucket Wildflowers sell flowers and plants - all making warm weather mornings on Main Street even more charming than usual. My friend Steve Bender farms the most delectable oysters that have ever slid down your throat at his Pocomo Meadows Farm in Polpis Harbor. Steve's wife, Anne, our dogs; Hugo and Allegra, and I got a chance to watch Steve and son Emil sort through the bags of oysters keeping the large ones and returning the smaller ones to the water to grow a bit more - but we didn't get a taste this time as they all were destined for island restaurants. It doesn't take too much to make a delicious meal - just choose your ingrients wisely - the closer you are to the source - the better the umbellished food will taste. 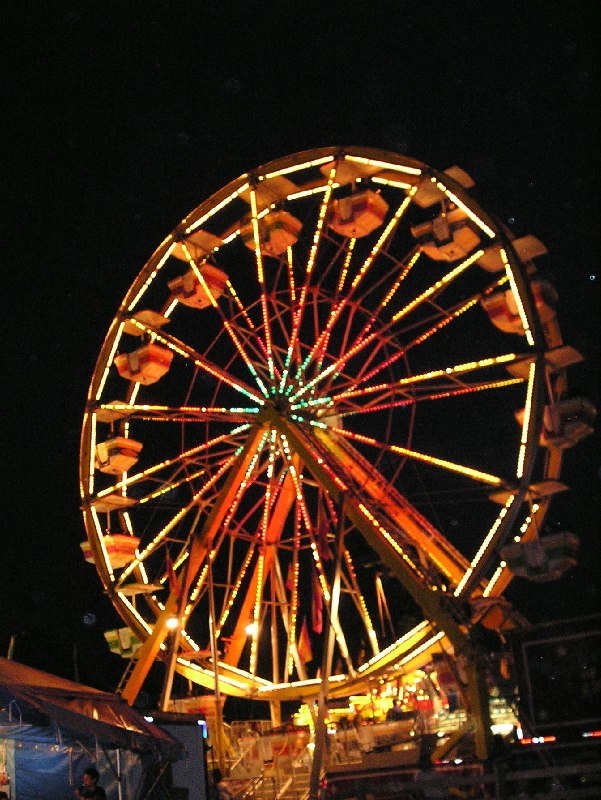 SUSANSIMONSAYS: Aside from all the usual thrills and chills; livestock exhibits, carnival rides and games, food, a tractor pull, a demo derby, etc. that you will experience at the Columbia County Fair - at the historic fairgrounds (it is the oldest continually operating county fair in the the USA) in Chatham, NY opening on August 29th and running through September 3rd you will be able to partake or be a spectator at the Hudson Valley bounty cooking contest.